Maxident is a modular, cloud-based dental practice management software for private practice dental professionals in the US and Canada with one or multiple practices. Maxident goes beyond core administrative functions and into the operatory, with AI-backed, hands-free electronic charting, digital radiography, and touch screen tablet integration. Voice input, digital imaging, and electronic signature capture also allow practices to operate completely paperlessly. In addition to the core software, a series of optional add-ons (MaxiReminder, MaxiVault, MaxiViewer, MaxCheckin, MaxiCharge, MaxiSign, and MaxiCare) extend Maxident's capabilities to include email / text appointment reminders, patient self check-in via kiosk, voice recognition and command, electronic signature capture, digital imaging, integrated payment systems, and more. MaxiReminder automates the appointment reminder and patient recall process by sending automatic appointment reminders via email and text message, as well as automatically inviting patients due for a check-up to make an appointment. MaxiViewer enables the integration of dental digital imaging equipment with electronic charting and practice management software, while MaxiSign enables the capture of patient signatures electronically, which not only helps practices to go paperless, but creates a tamper-proof audit trail of electronic records. For dental professionals with multiple practices, Maxident provides a standardized solution with bulk licensing, as well as cross-country setup and user training. it is a bit overwhelming to learn, help files are confusing. not flexible for individual needs (but company will try to accommodate special requests). very large and all encompassing - maybe too much for our specific needs. Not on mac. Slow awkward perio chart. Abbreviations on perio chart not what I would choose and they aren't adjustable. Maxident is very flexible and easy to use. Tech support is great; the techs are eager to help. Having unlimited support is hugely valuable to me.The audit trail built into Maxident helps me keep tabs on what the staff are doing. Changes made to information such as appointment bookings are tracked and let me see who made changes and when. This helps with a number of things, but even on a basic level, if there are questions, you know who to ask for details. You always know who did the work. The audit trail built into Maxident helps me keep tabs on what the staff are doing. Changes made to information such as appointment bookings are tracked and let me see who made changes and when. This helps with a number of things, but even on a basic level, if there are questions, you know who to ask for details. You always know who did the work. The mandatory reports printed when closing the day. The Maxident team always provides quick resolution to any issues. Customer support, techs and administration is always polite, friendly and effective. Excellent customer care. 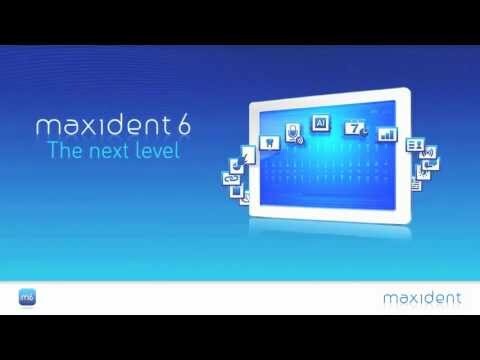 Thank you Maxident!At a glance the software at appears to be intimidating... but it really isn't! Very simple and straightforward. User friendly. At a glance the software at appears to be intimidating... but it really isn't! Very simple and straightforward. User friendly. The software is the Office Guru! If it is not working, nothing works! Benefits in Office Smoothness, in communication front end to back, Office to Patient, Dentist to Receptionist. Many Many Benefits.Ease to ask for help! By email (response is quick) or by phone (again - they get back to us quickly). Ease to ask for help! By email (response is quick) or by phone (again - they get back to us quickly). Nothing to compare to as we have been using this software for over 10 years. Of the different areas - maxident, maxiviewer and maxi chart - probably the charting is the hardest as each dentist, hyg and dental assistant has their own way of charting. From January 2018, Maxiden's Practice Management software is available at no charge to dentists throughout Canada. View practice schedules at-a-glance with Maxident's colour-coded calendar, with colours for different providers and appointment statuses (booked, confirmed, patient checked-in, in hygiene, in operatory, patient checked-out, etc.). Rather than sending x-rays in the mail, send digital radiographs electronically via ITRANS, for immediate insurance approval. Streamline the patient checkout and payment processes by sending treatment information captured in the operatory to the front office electronically. Send appointment reminders to patients via email and text message with the MaxiReminder add-on for Maxident. Allow patients to check themselves in upon arrival, with MaxiCheckin, a patient self check-in kiosk. Access and update patient information electronically and hands-free with MaxiChart, Maxident's electronic dental charting software module, which uses voice activation and connects to a headset. Below are some frequently asked questions for Maxident. Q. What type of pricing plans does Maxident offer? Q. Who are the typical users of Maxident? Q. What languages does Maxident support? Q. Does Maxident support mobile devices? Q. Does Maxident offer an API? No, Maxident does not have an API available. Q. What other apps does Maxident integrate with? Q. What level of support does Maxident offer?